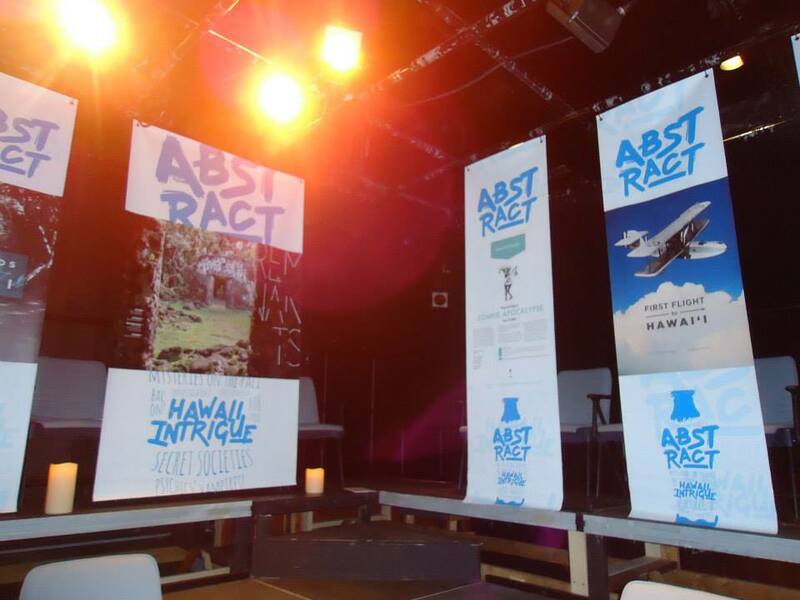 Abstract Magazine is an award-winning collectible print publication for Hawai'i. Printed quarterly since 2013, each issue celebrates local lifestyle and culture. In early 2011, assistant editor James Charisma and creative director Raul Soria Jr. began a series of weekly meetings to plan a relaunch of The 808 Scene Zine, a small print publication dedicated to local music and tattoo in Hawai‘i. The monthly magazine ran from 2006 through 2010 as a labor of love by owner and editor Katie Whitman, and stopped printing with the global recession. When Whitman decided to return to school for her Ph.D., the entire publication came to a standstill. And despite the great creative initiatives developed after weeks of meetings over drinks, the magazine was no closer to finding a way to print. Charisma and Soria explained their situation to Matthew Heim, vice-president of HONBLUE, one of Hawai‘i’s largest commercial print and information companies. For years, he and Honolulu Community College graphic design instructor Scott Kawamura had toyed with the idea of building a trade school-of-sorts that would provide real-world experience to recent art and graphic design graduates. Heim and Kawamura frequently collaborated with creatives who knew technical elements of the design industry well, but little about working with clients, on a budget, with print elements--essentially how to turn a creative concept into a polished product and the skills necessary to make a living making art. Heim and Kawamura had recently taken new steps toward realizing this dream by re-dedicating a portion of the HONBLUE facility at Sumner Street to house what they were calling the “Iwilei Creative Experiment.” This loft workspace would be a place where they could hold regular workshops for local industry professionals to share their experiences and expertise with Hawai‘i’s up-and-coming creative designers. The location could also be a collaborative area for the development of a focus project these artists could center their attention on over the course of that program. Heim and Kawamura had a design school, mentors, and designers. Charisma and Soria had a network of writers, photographers, and illustrators. The Iwilei Creative Experiment became Inkubator, a series of workshops and facility for Hawai‘i’s emerging creative community. 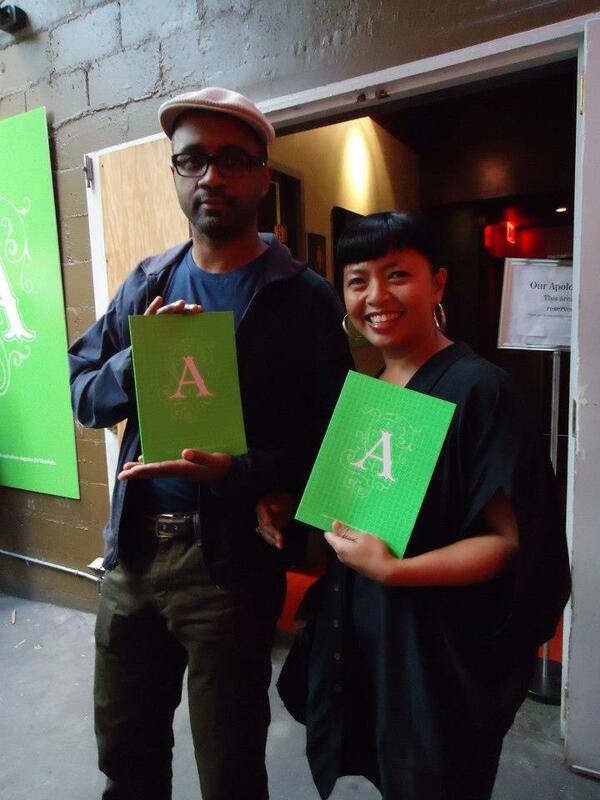 The 808 Scene Zine became Abstract Magazine, a collectible quarterly lifestyle and culture publication for Hawai‘i. Designers involved with Inkubator learn more about their creative industries and collaborate with mentors to create the pages of Abstract Magazine. In turn, Abstract helps promote Inkubator and serves as a physical product and resume piece for the creatives who create the different spreads for the issue. Whether you're a writer, designer, photographer, illustrator, another type of creative, or just a creative enthusiast, we invite you to join us as the adventure continues. 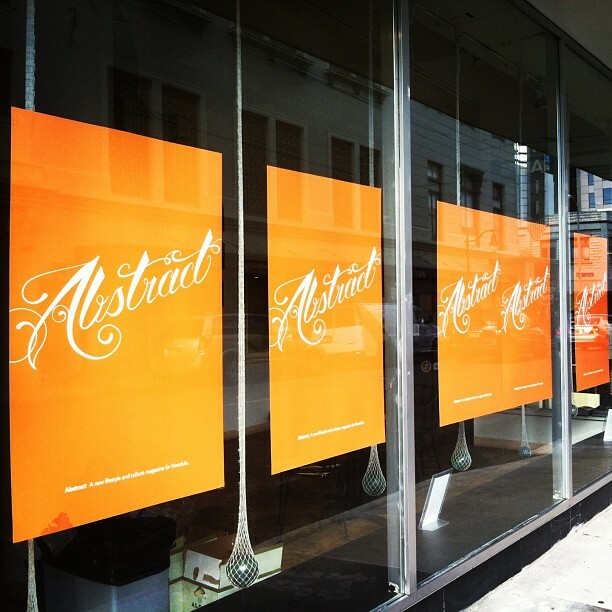 Back issues of Abstract are available for sale on this site, as well as subscriptions to receive new issues. Follow us on social media through Facebook, Twitter, or Instagram. And if you're interested in getting involved behind-the-scenes, send us an email! 70# 100% recycled, uncoated paper from a well-managed forest. Available at more than 90 locations across Hawai‘i and through direct subscription. Published by the Inkubator, a collaborative workspace and educational program for graphic designers. In partnership with HONBLUE + Electric Pencil, Charisma Industries, Clutch Design, and Design Asylum.